Why Are Weekends Two Days Long? In a nation where people work more than anyone else in the industrialized world, the two-day weekend helps keep us sane. No matter how exhausted you are at your nine-to-five, the promise of two full days set aside for socializing, sleeping in, and brunching in the afternoon always looms on the horizon. People working 200 years ago weren't so lucky. According to Science of Us, the modern work week began to emerge during the industrial revolution—thanks in part to our hard-partying predecessors. Reserving one holy day a week for rest and worship is an ancient tradition. Things took a turn in Britain during the 19th century when workers started using their one day off for pleasure instead of quiet religious observation. After cramming a week's worth of fun and debauchery into a single day, employees would often come into work the next morning hungover or end up taking the whole day off to recuperate. 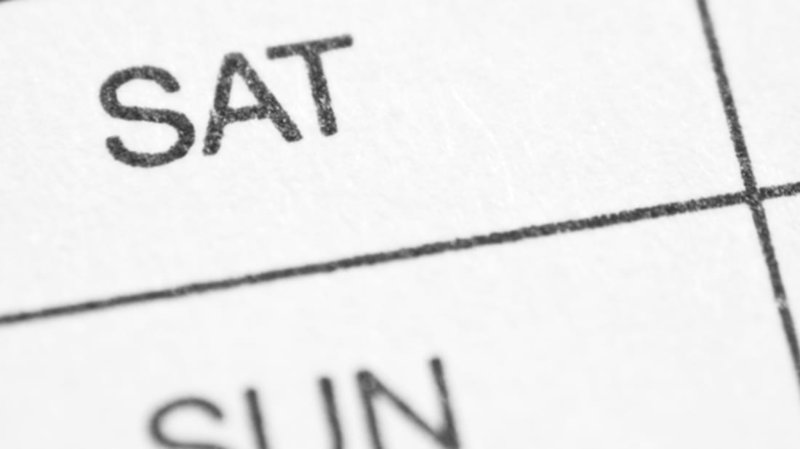 The practice of playing hooky on the first day of the work week, also known as "Saint Monday," became so common in the 19th century that many employers started making Saturdays a half-day as a compromise. In 1908, one factory became the first in America to make Saturday an official day off out of respect for the Jewish Sabbath, and soon more workplaces began to follow suit. In the face of newly-formed labor unions and pressure from religious groups to keep Sundays holy, the five-day, 40-hour work week was signed into law with the Fair Labor Standards Act of 1938. The five days of work, two days of rest formula is still followed by many countries today, though the days on which the weekend falls vary depending on which part of the world you're in. While the two-day weekend is a fairly recent phenomenon, today some people are working to extend it even longer. In the meantime, keeping Saint Monday is still an option for those who indulge a little too much on Sunday Fun Day.